There is no rational way to issue a debt intended to mature and meet its covenants in a market where debt and related CDS are unregulated while protecting the rights of stockholders. CDS is original sin. But a debtholder-managed, exchange-created secondary market for listing debtholder-issued fixed instruments would be a formidable weapon in creating a normalized market for the simultaneous trading of both debt and CDS, says Kurt Dew. Hedge fund traders do not create the arbitrage possibilities they exploit by trading CDS. These arbitrage opportunities are more easily exploited by debt issuers themselves. Indeed, in the presence of an unregulated CDS market, firms may be obliged to use CDS to protect stockholders. To protect debt markets from issuer abuse, debtholders might accept governance responsibilities within a debtholder-friendly sub-market. This market would be a far more effective deterrent than ISDA rulemaking. In two earlier articles, I argued that CDS is the whipping boy for the sins of debt issuers. My focus is upon the interaction of the securities and other financial instruments such as corporate shares and CDS related to a given debt issue. Observers complaining about CDS-related bad behavior from hedge funds misunderstand the role the debt issuer has in these donnybrooks. It has gone unnoticed in the brouhaha over CDS that issuers have an exploitable information advantage that hedge funds do not. Far from being a victim of CDS manipulation, a street-smart corporation may profit from the interaction among these related claims at hedge fund and debtholder expense. In their unregulated pristine form, CDS – simply because they exist – create a mare’s nest that results in a potential corporate obligation to engage in market-damaging disingenuous behavior. In fact, in an unregulated debt market, no firm needs to collude with CDS traders to protect itself from bankruptcy due to CDS. A debt-issuing firm has inside information on issuance decisions that give it an advantage in CDS markets. Firms may discover that as part of their obligation to stockholders, they are obliged to consider this Hobson’s choice. Write enough CDS on the debt to retire it, meeting the responsibility to stockholders at CDS buyers’ expense. In other words, the firm must choose which of its promises to break – the empty promise implied by the debt covenants or the empty promise implied by the sale of CDS. No change to ISDA agreements protects the marketplace from this issuer’s conundrum. A market disciplinarian could lay down rules that would permit issuers to maintain their integrity. This conclusion leads to an interesting corollary. There is no rational way to issue a debt intended to mature and meet its covenants in a market where debt and related CDS are unregulated while protecting the rights of stockholders. CDS is original sin. Where does that conclusion lead us? It suggests that debt cannot exist with issuer integrity without a kind of uber-credit monitor. The rating agencies are no longer enough. The markets require more than the estimate that rating agencies provide; an estimate of the probability that a borrower can meet the debt’s covenants. The markets require a third party that provides assurance that the borrower intends to meet the debt’s covenants. Put in terms of market values, for a debtholder to be assured of the performance of a bond, either the debtholder must be able to assess a penalty for debt retirement, or the price of a new debt issue will discount the option value to the borrower of the ability to repay debt with the premiums on CDS. A less expensive method would be monitoring of the market by a self-regulatory organization such as an exchange. A debtholder-managed market for corporate debt – a debtholder-created exchange – could become a utility provided by debtholders as a group, at low cost to users. This exchange could manage the market’s efficiency and create rules for issuer and hedge fund behavior through its role as a self-regulatory institution. It would put debtholders in a position to create incentives for issuers to maintain the integrity of debt covenants. Debtholders could assign the exchange responsibility for the protection of market integrity. These considerations draw attention to an ancient reality. Law, as administered by courts, is never the most important deterrent to bad behavior. A more important weapon is society’s ability to inflict punishment on lawbreakers for violating its social mores, even in the absence of evidence sufficient to win a lawsuit, including the ability of society to deter bad behavior by the threat of punishment. In other words, debtholders could become the gatekeepers of the right to issue debtholder-approved debt, most likely including some ability to certify CDS, including the ability to identify CDS writers through access to open interest. Issuing cheap debt and writing CDS will become a privilege that debtholders may choose to withhold. A debtholder-managed exchange-created secondary market for listing debtholder-issued fixed instruments would be a formidable weapon in creating a normalized market for the simultaneous trading of both debt and CDS. Such a market would increase the efficiency of debt markets by listing instruments that have debtholder-friendly covenants, enforced by debtholders. This would put debtholders in a position analogous to that stockholders have in protecting the value of common stock from abusive stock options trading. 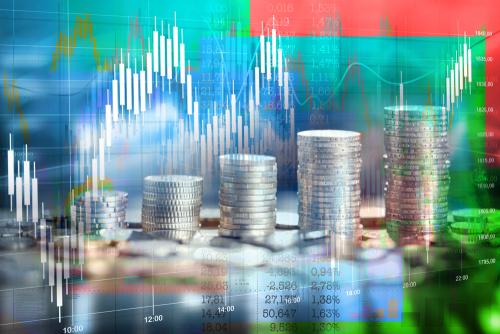 The exchange could further improve the risk management environment it creates by issuing its own enhanced fixed income instruments, as proposed here. A debtholder-friendly obligation would be created by an exchange-managed issuer/manager/originator. A follow-on effect would positively impact the debt that the exchange’s issuer acquires to back exchange-issued paper. Finally, any new debt issue that could persuade debtholders that the debtholder’s issuing agent would buy it, would get a valuation boost at issue. But such an exchange would fail if it were operated as a for-profit venture. The value of the exchange would be maximized by renegade sell-side acquisition of debtholder’s equity interest and the games would begin again.